It is amazing how often a good quality multi-tool can prove invaluable on patrol, and Gerber multi tools are widely regarded to be amongst the best that money can buy. 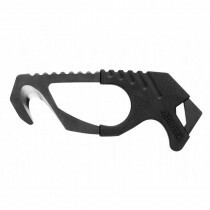 CopShopUK has collected together a range of tough multi-pliers, rescue knives, seatbelt cutters and keyring mini-tools offering a variety of applications to the user, whatever the situation. Add to that a collection of handy Swiss Tech gadgets and ResQMe emergency rescue tools, for a comprehensive range.